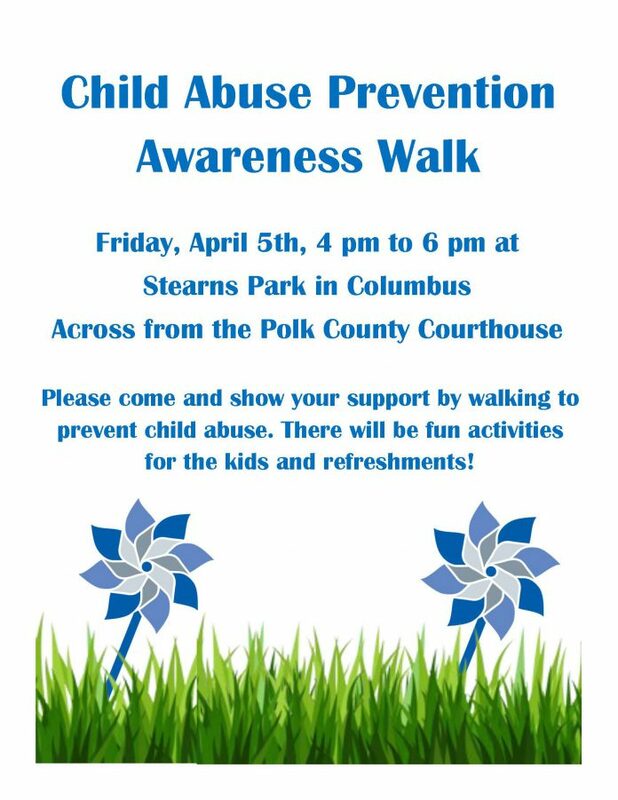 Everyone is invited to the Child Abuse Prevention Awareness Walk from 4 to 6 p.m., Friday, April 5 at Stearns Park in Columbus, which will include free refreshments, activities for kids and family resources. Through the generosity of community members, this community event will feature free food, games, a bounce house, other fun activities for children and helpful information for parents, said Kim Wilson, Senior Program Manager for Polk County Consolidated Human Services. In addition to creating a fun recreational atmosphere for children and families, the walk’s purpose is to help build awareness of community resources including those offered by the Polk County Department of Social Services. As part of Polk County Consolidated Human Services, Polk County Dept. of Social Services assists families and individuals by helping them maintain and enhance their quality of life and to prevent abuse, neglect and exploitation of children and other vulnerable people in the community. Anyone with concerns about the health or welfare of a child is encouraged to call DSS from 8:30 a.m. to 5 p.m., Monday through Friday at (828) 894-2100. For after-hours emergencies, calls should be made to (828) 894-0187 or 911. “If someone is concerned that a child may be being abused or neglected, individuals can report their concerns themselves,” Wilson said. “Even if you’re not sure, certainly call us.” When someone calls the Dept. of Social Services with a concern, the agency then starts a screening assessment to determine if there is abuse and neglect. Wilson said Polk County Dept. of Social Services averages about 20 such calls a month. Currently, she said there are 46 children in foster care in the county due to abuse, neglect or dependency, such as when parents or guardians are deceased. Polk County added a third social worker this past fiscal year to help children in foster care. In most cases of abuse or neglect, Wilson said substance abuse and mental health issues are involved. Twice a year, the Polk County Dept. of Social Services offers a 12-week Nurturing Parent program, Wilson said. 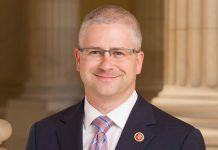 The next session is planned for the fall of 2019. 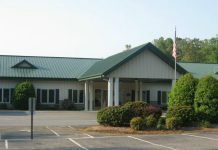 Other community resources such as Blue Ridge Health’s Polk Center and Family Preservation Services in Columbus offer family support, group sessions and mental health and substance abuse services. Another local resource is Be a Voice 4 Kids, a Polk County-based nonprofit that works to educate, prevent, heal and end child sexual abuse. Statewide and national resources also can be found online at Prevent Child Abuse North Carolina and at the U.S. Dept. of Health & Human Services’ National Child Abuse Prevention Month 2019 webpage.